A sleepy corner of central China nestled among mountains and forests is making a bold attempt to rival England's Sheffield as the home of world snooker. Yushan County, which bills itself as the "first billiard sports capital" worldwide, is indicative of China's hopes to play a major role in the growth of snooker. Yushan, meaning "Jade Mountain", lies in the rugged province of Jiangxi and has a population of about 500,000 -- small by Chinese standards. But it has outsized ambitions and is building a 4,000-seat arena tailor-made for cue sports. There will also be a billiard sports academy, museum and athletes' village. The project will cost two billion yuan ($290 million), the China Daily says, and could be completed in as little as two years. 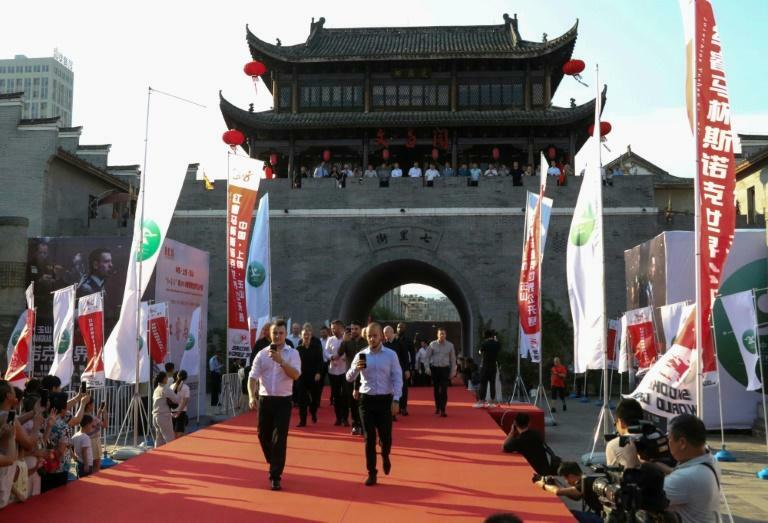 Yushan already hosts the World Open, an international tournament with a nearly $1 million prize fund -- one of six events on Chinese soil on this year's World Snooker calendar. "They've said, 'Look, wow, we love this, we want to make Yushan a home for snooker," Jason Ferguson, chairman of snooker's governing body the WPBSA, told AFP. "The riverside is all being redesigned with a snooker theme and will be renamed Snooker Bay," added Ferguson, a former top-level player. Yushan officials have visited Sheffield and studied its famous Crucible Theatre, which hosts the annual world championships and is to snooker what Wembley is to football or Wimbledon to tennis. Why Yushan? The region's bluestone slate is used for snooker tables by Beijing-based Xing Pai Star, which produces elite-level tables and is the developer for the snooker city project, which was unveiled last year. Speaking at the Shanghai Masters, one of the biggest events on the snooker calendar, Ferguson said Yushan officials and the WPBSA are supporting the initiative. That could give Yushan a greater chance of success than other communities in China, where grand development plans often do not materialise. 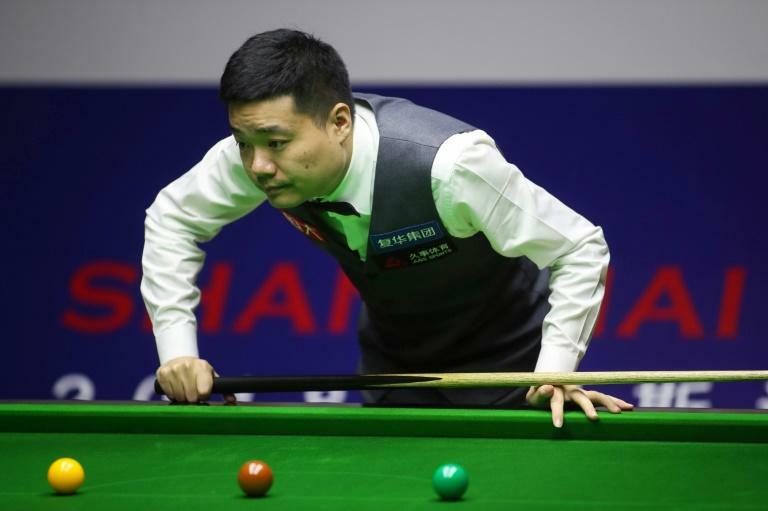 For any sport making inroads into the potentially lucrative China market, a stand-out home star is a must -- and snooker found it when Ding Junhui won the China Open in 2005 as a teenage amateur. There are now nine Chinese players in the world top 50, with Ding ranked sixth and one of the sport's biggest names. Mark Selby, the world number one and a three-time world champion, has witnessed up close how the sport has grown in the country. "My first time in China was in 2002, coming to Shanghai to play in a tournament, and it (the event) was nowhere near as big as it is now," the Englishman said after battling back to defeat home player Zhou Yuelong on Tuesday. "I think that's down to Ding Junhui. We owe him a lot, he's obviously a fantastic player and one of the greats of the game now. "Winning that first tournament in 2005 when he was 18 sort of put China on the map -- that was probably the best thing that could happen to snooker." Fast-forward to today, and Ferguson believes that snooker can call itself a national sport in China. A specialist snooker academy opened in Beijing in 2013, and in 2016, 210 million Chinese tuned in to see Ding lose the world championships final to Selby. "Certainly in terms of scale of participation, television audiences and just general popularity, something practised from school level all the way to professional level," he said. "The growth has been continuous year on year (since their first tournament nearly 20 years ago). "It's been an exciting journey for us."